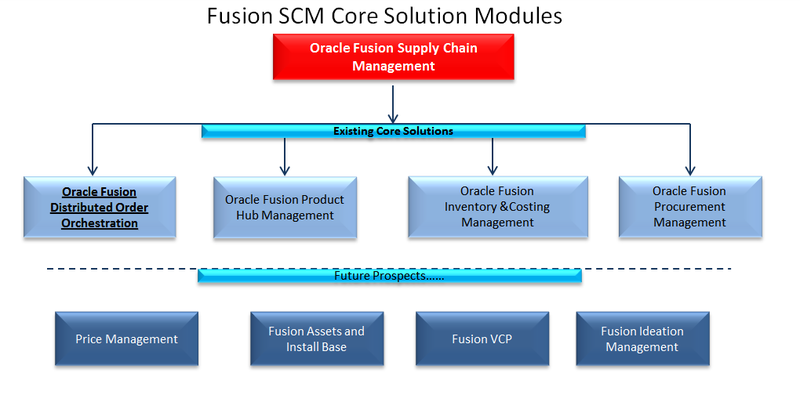 Oracle Fusion SCM provides a supply chain data model and services for such things as product, order, inventory, shipping and receiving and also business processes for concept-to-launch, order-to-cash, and cost management. Initial releases of Oracle Fusion Supply Chain Management will have functionality for product master data management, costing, order orchestration, product availability,logistics, inventory management, light warehouse management capabilities and Agile PLM. Looking at the Supply Chain Management Product Family in Fusion Applications, these are major products which is consider to be part of offering in v1. @2018 GreenChain Software Solutions. All rights reserved.